Mona Lisa Overdrive (London,Gollancz,1986, ISBN 0575040203, hardback $30; also, New York: Bantam Books, 1988, ISBN 0553052500, hardback, <$5). See also The Time Machine (1960 film), Young Sherlock Holmes (1985 film), and The Secret Adventures of Jules Verne (1999 TV series). Bruce Sterling, an important figure in cyberpunk, has numerous novels and short story collections to his credit. 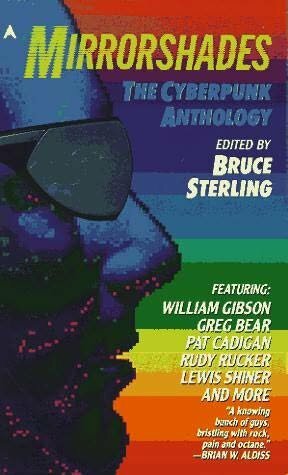 He is also the editor of Mirrorshades: The Cyberpunk Anthology (New York: Arbor House: 1986; ISBN 0877958688 $50 -$75). As influential as Sterling has been in the genre, very few of his books seem to have generated very much collector demand. As of this writing, signed first printings of nearly all of Sterling's books are readily available online for less than $30. Two exceptions include Mirrorshades (see above) and Schismatrix (New York: Arbor House, 1985; ISBN 0877956456 $25 to $35 unsigned). After Gibson and Sterling, the last of the Big Three cyberpunk authors is Neal Stephenson. 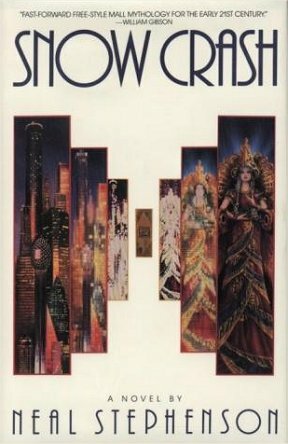 Snow Crash (New York: Bantam, 1992, ISBN 055308853X, hardback $750 to $1000; the book club edition is also collectible, with prices in the $50 to $75 range) represents a more developed take on the cyberpunk novel. It has all the style and flash of Neuromancer, but it draws the reader into a deeper, richer, funnier and, ultimately, scarier world as well. It also performs a neat inversion of the classic cyberpunk trope of increasingly human-like robots/androids by positing a means of accessing a hard-wired human meta-language that allows the bad guys to reprogram the brain, in effect turning people into robots. The Big U (New York: Vintage, 1984; ISBN 0394723627, trade paperback original, $50). This book used to be nearly impossible to find, and prices ranged beyond $150. For many years, Stephenson adamantly refused to approve a re-issue of his first book, but apparently he gave in as a reprint was issued in 2001 (New York: Harper, 2001; ISBN 0380816032, trade paperback, $5). Since then the price on the original edition has dropped. Zodiac: The Eco-Thriller (New York: Atlantic Monthly Press, 1988; ISBN 0871131811, trade paperback, $5 to $10). Stephenson's second book. The Diamond Age: Or, A Young Lady's Illustrated Primer (New York: Bantam, 1995; ISBN 0553096095; hardback, $5 to $10). A fascinating fusion of cyberpunk and steampunk (cybersteam? ), The Diamond Age is set in the oppressively restrictive neo-Victorian age that grew out of the chaos brought about by the introduction of nanotechnology. Nano-engineer John Percival Hackworth illegally duplicates the Young Lady's Illustrated Primer, a custom commissioned nanotech supercomputer in the shape of a book designed to educate a young woman to think for herself in spite of the neo-Victorian norms. But Hackworth loses his copy, and the consequences will shake the very foundations of his society.